Get out your lederhousen and clean out the mold from your bier stein. 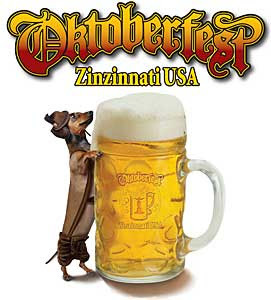 Oktoberfest Zinzinnati is less than 2 weeks away. September 20-21 on 5th Street in Downtown Cincinnati. The McCain Health Plan: Hold Onto Your Wallet! I'm No Journalism Expert, But . . .
Open Thread: Take That, Beijing!! !